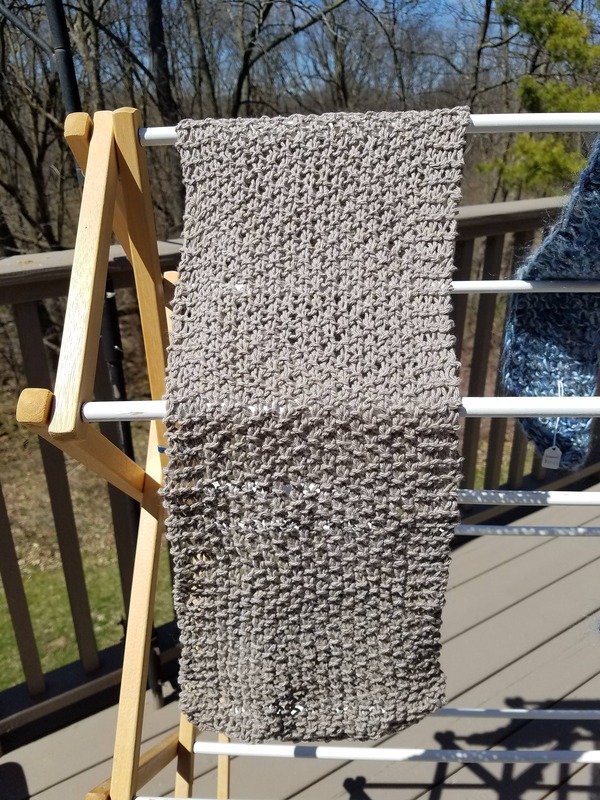 This khaki seed stitch knitted scarf is made out of yarn that comes from recycled denim. It is very soft and drapes beautifully. It measures 80 x 7 inches.